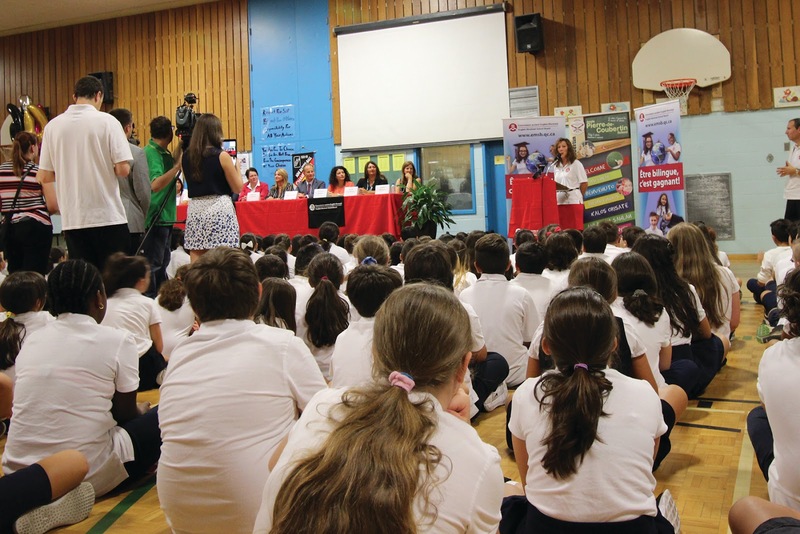 ÊTRE BILINGUE: The EMSB formally unveiled its new promotional campaign on bilingualism on the first day of classes, Wednesday, August 31 at Pierre de Coubertin Elementary School in St. Léonard. 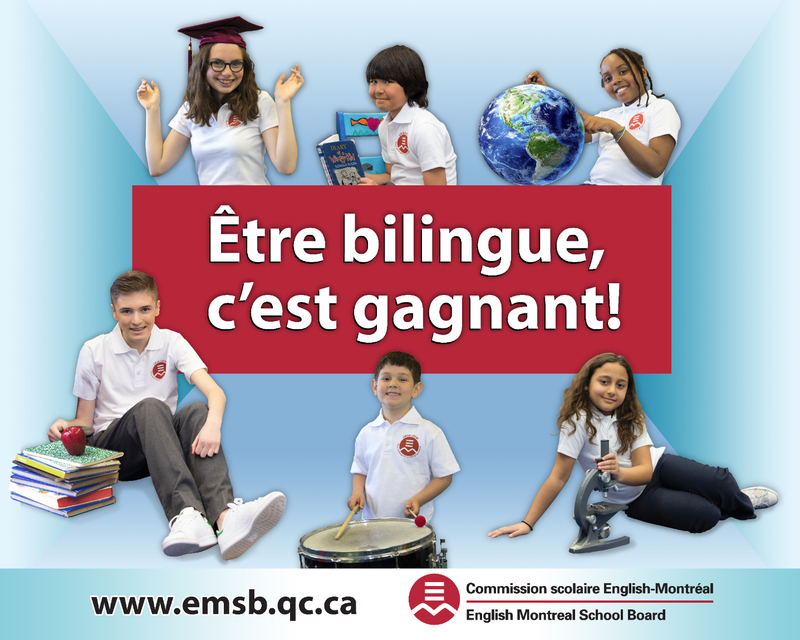 To mark the start of the 2016-2017 academic year, the new EMSB slogan “Être bilingue, c’est gagnant!” promotes the fact that being bilingual represents a winning formula. The EMSB has embarked upon a special marketing campaign, complete with specific signage and promotional items, in order to have these words at the tip of everyone’s tongue. Member of Parliament Nicola Di Iorio, Sylvia Lo Bianco, Member of the National Assembly Filomena Rotiroti, Patricia Lattanzio, Angela Mancini and some students from Pierre de Coubertin at the launch. Students watch the proceedings of the press conference. Under the Charter of the French Language, a certificate of eligibility is generally granted to children who did the majority of their elementary or secondary studies in English in Canada; whose mother or father did the majority of his/her elementary studies in English in Canada or whose brother or sister did the majority of his/her elementary or secondary studies in English in Canada. See the complete press release. For a a look at all of the photos from the launch please click here. For a look at the CTV Montreal report, click here. PHOTO SHOOT AND TV COMMERCIALS: The EMSB wishes to extend its thanks to the six students who took part in the recording of the CTV commercials and a photo shoot orchestrated by Productions Oracle. During the 2015-2016 academic year, each school and centre received $20,000 to use for educational materials or renovations in their respective buildings. There is some great news for the St. Pius X Career Centre in Ahuntsic; the EMSB will invest over $5 million to build a new section for the growing and popular culinary program. Also, at Bancroft Elementary School in the Plateau, Phase III of the upgrade to their building will proceed as scheduled. Westmount Park Elementary School and Nesbitt Elementary School in Rosemount will both benefit with major building renovations and upgrades. The EMSB adopted its budget for 2016-2017 on June 28. See the complete press release. EMSB EXPRESS: The latest edition of the EMSB Express is larger than usual, 16 pages, and in full colour. It provides some important background into our Hospital Opportunity Program (HOPS) and how we educate students at the Montreal Children’s Hospital, the Shriners and the Jewish General. You will meet cardiologist Dr. Christopher Labos, a graduate of the EMSB’s LaurenHill Academy. There is also a special four page section on our Volunteer Appreciation Evening, a column by Chairman Angela Mancini about our initiative on bilingualism, a quiz for students to enter and win prizes, the youth sector calendar, high school open houses and much more. You can log on to the electronic version here. Hard copies will be delivered to schools and made available on new distribution racks to be placed across the city. CORRECTION ON MARCH BREAK: There was an error in the print edition of the EMSB Express. March Break will take place March 6 to 10, 2017, not February 27 to March 3, 2017. It appears correctly in the online version of the Express and on our wall calendar. We apologize for the error. B.A.S.E. GETS PHYSICAL: The EMSB’s B.A.S.E. (Before and After School Enriched) Daycare Program hosted its annual conference on August 30 at Plaza Antique. The theme was Motivating Children to be Physically Active. This year the EMSB will be encouraging all daycare technicians and educators to provide increased opportunities where children aged four to 12 years old can be physically active. Over 200 employees were present at the conference, which provided daycare employees with an array of workshops that will enhance their competencies and confidence in planning and leading physical activities with children. Each daycare employee participated in two workshops depending on the age group of students that they work with. The workshops were being led by McGill University professors and representatives from Sport Ball Quebec, the Champions for Life Foundation, BOKS Canada and the Heart and Stroke Foundation. The B.A.S.E. Daycare Program has decided to prioritize physical activity during the 2016-2017 academic year because as Canadian studies show, only nine per cent of five to 17 year olds get the recommended 60 minutes of heart-pumping physical activity they need each day. Daycare offers children the opportunity to reach the minimum one hour of physical activity per day since they spend, on average, between 20-25 hours in daycare per week. See the full press release. CONNECTIONS: The most recent edition of Connections Newsletter is online here. This publication outlines the many services, programs, and activities provided by EMSB personnel in collaboration with its many partners with regard to prevention and promotion on a wide spectrum of health and social services issues. The emerging changes, which are taking place in the Health and Social Services Sector, is also described in the attached newsletter. David-Roger Gagnon, Frank Lofeodo and Dora Cesta oversaw the editorial component. PARKDALE TURNS 65: Parkdale Elementary School in St. Laurent is turning 65. Stay tuned for more information on what this senior citizen has planned. IN-SCHOOL ADMINISTRATORS: Here is a list of in-school administrator appointments and changes for 2016-2017. Retiring as principals were Leah Auclair (on leave at Edinburgh Elementary); Raizel Candib (Merton); Marysa Barassi (St. Laurent Adult Education Centre), Claude Dansereau Ben Fagan (High School of Montreal Adult Education Centre). Newly appointed administrators are: Rosanna Caplan, Merton (previously vice-principal at Roslyn); Donna Manos, LaurenHill (previously principal of Honoré-Mercier); Mauro Zampini, Edinburgh (previously vice-principal at Lester B. Pearson High School); Joseph Vitantonio, Lester B. Pearson High School (previously principal of John F. Kennedy High School); Otis Delaney, John F. Kennedy High School (previously principal of Elizabeth Ballantyne Elementary School in Montreal West); Marymount Academy in NDG (previously principal at John Grant and LINKS High Schools); Angela Vaudry, John Grant and LINKS (previously principal at James Lyng High School); John Pevec, High School of Montreal Adult Education Centre (previously principal of Vincent Massey Collegiate); Daniela Lattanzio, St. Laurent Adult Education Centre (previously principal of Dante Elementary School); Elizabeth Lagodich, John F. Kennedy Adult Education Centre (previously principal of Marymount Academy International); Nadia Sammarco, Leonardo Da Vinci Elementary School (previously principal at Cedarcrest Elementary School); Franca Cristiano, Vincent Massey Collegiate (previously principal at Edward Murphy School): Antoinette Scrocca, Nesbitt Elementary School (previously interim in that position); Carmen Nicolas, Willingdon Elementary School in NDG (previously interim principal at Lester B. Pearson High School); Civita Tudino, Cedarcrest Elementary School (previously vice-principal at St, Pius X Career Centre); Mike Talevi, Dante Elementary School in St. Leonard (previously principal at Leonardo Da Vinci; Cristina Celzi, Edward Murphy Elementary School (previously vice-principal at Royal Vale School); Michael Brown, Elizabeth Ballantyne Elementary School in Montreal West (previously vice-principal, LaurenHill Academy); Sonia Marotta, Honore Mercier School (previously interim principal at Edinburgh Elementary School); Rick David, James Lyng Adult Education Centre (previously principal at John F. Kennedy Adult Education Centre). (LaurenHill Academy) and James Fequet, Marymount Academy International (previously principal at John Grant and Paul VI). Caruso, Leonardo Da Vinci (previously interim in this position); Rea Limperolous, LaurenHill Academy (presently vice-principal at Gardenview); Nathalie Cheff, Royal Vale School (previously a teacher at Royal West Academy); Marilyn Ramlakhan (interim), James Lyng High School (previously a teacher at LaurenHill Academy); Susie Douranos, St. Pius X Career Centre (previously principal at Willingdon Elementary School); Sulaman Khan, Rosemount Technology Centre (previously a teacher there); Antonella Russo (interim), John F. Kennedy Adult Education Centre (previously a teacher at St. Pius X Career; Darlene Kehayan, James Lyng Adult Centre (previously interim assistant director of Educational and Technology Services); Danica Lewington, Roslyn (previously vice-principal at James Lyng Adult Centre); and Amanda Vallelunga (interim), Westmount High School (previously a teacher at Laurier Macdonald High School). TRAGEDY IN ITALY: As a new academic year begins, the EMSB wishes to sensitize its stakeholders to the recent earthquake in central Italy, expressing its deepest sympathies to the families affected by the devastation. “Once again we are made aware that nature has a distinct way of reminding us of the unpredictability and uncontrollable devastation which it can, at times, leash upon our human population,” EMSB Chairman Angela Mancini and Director General Ann Marie Matheson state in a message sent out to school principals. On Wednesday, August 24, a powerful earthquake laid waste to many, towns and villages in central Italy, leaving a death toll of at least 300 with hundreds injured and thousands homeless. Aftershocks continue to hinder rescue efforts. The number of deaths, missing persons and injuries continue to rise as bodies are found under the rubble. 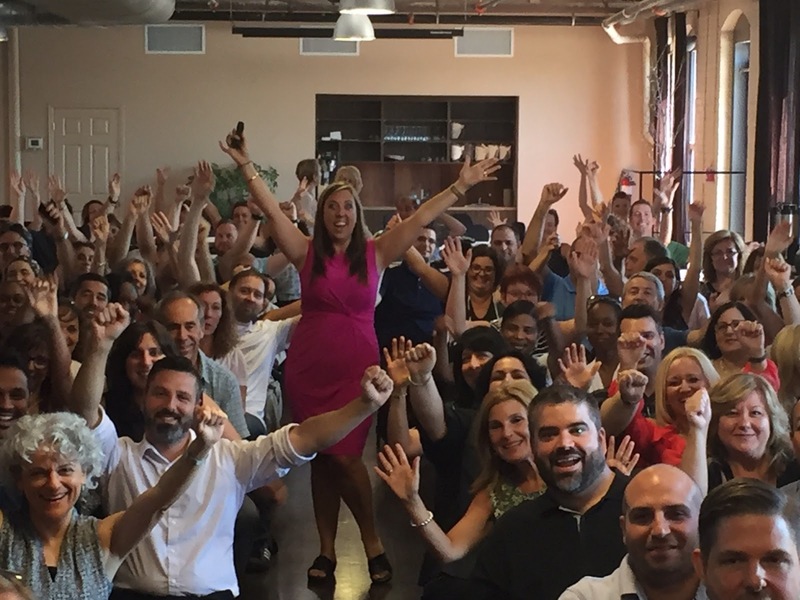 TEAM BUILDING: EMSB administrators gathered recently for a day of team building. The special guest speaker and facilitator was Willow Sweeney Flaherty. A high school social studies teacher at St. Paul's Cretin-Derham Hall, Sweeney Flaherty left her position to educate teachers and students on social and emotional intelligence. It was something she and her business partners had been working on for over five years. The group's vision to help kids navigate the world of basic human interaction soon garnered national attention. With the development of Top 20 Training, the business partners became authors, speakers and mentors on how to engage with others and develop a positive outlook on life. Since leaving Cretin-Derham Hall, Sweeney Flaherty and her business partners have found themselves returning to the classroom, teaching educators about the importance of developing social and emotional intelligence in not only themselves, but in their students as well. Her presentation was very well received. A day earlier she had spoken to reps from the Lester B. Pearson School Board. 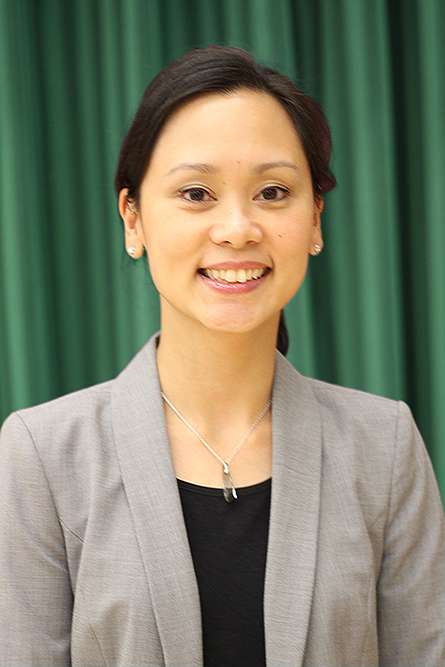 NEW ASSISTANT DIRECTOR OF AEVS: Angela Spagnolo has been appointed Assistant Director of Adult Education and Vocational Service. She was previously the Principal of the James Lyng Adult Education Centre. Her new duties and responsibilities are to work specifically, with the management of all programs within the adult education sector, the development of policies and procedures that will enhance the services offered to students, as well as with the coordination and evaluation of professional development activities for all members of staff regarding curriculum renewal. firm SNC-Lavalin. She was responsible for many large scale projects, including the construction of a Canadian High Arctic Research Station in Nunavut, which is expected to be completed in 2017. In addition, she worked on the construction of an airport terminal in Inukjuak and major renovations to the Municipal Housing Office in Kativik, the renovation of a school for the Commission Scolaire Kativik, the construction of a rehabilitation centre for girls in Inukjuak and much more. former PSBGM for 26 years. He began as manager of Transportation and then became coordinator for Transportation and Registration. Eventually he became an Assistant Director, with his most recent responsibilities. A native of Chicoutimi, he moved to Montreal in 1990 via Sherbrooke, where he had worked for a small school board called Morilac for two years. MACKAY CENTRE PROJECT: Construction on a $21.9 million dollar state-of-the-art facility for the Mackay Centre and Philip E. Layton Schools will begin this fall. The facility will be built on a now empty piece of land located on Terrebonne Avenue, between Benny and Madison Avenues, in NDG. The English Montreal School Board (EMSB) has owned the green space for decades. The field is currently under municipal custodianship and is being used as an informal playing field by the See the press release. Mackay Centre is a special school indeed. public and the neighbouring Commission scolaire de Montréal (CSDM) elementary school École Marc-Favreau. A special information meeting for people living in the immediate area was held recently at St. Monica Elementary School, which is across the street from where the new facility will be built.The building will house approximately 200 students with developmental, intellectual, auditory or visual impairments and will be the only one of its kind to offer specialized educational and rehabilitative services for the Anglophone community. Its supra-regional mandate means that students from all nine Quebec English school boards will be attending this school. Some students travelling as much as three hours per day by school bus. The entire facility has been carefully designed to cater to the diverse needs of its student population. On the ground floor, numerous specialized classrooms, washrooms, closed outdoor courtyard, as well as an indoor therapeutic swimming pool are just some of the standard facilities planned. The second floor will accommodate school administration as well as private offices and equipment for medical professionals. BACK FROM ISRAEL: Ramin Khodaie, the coordinator of the International Baccalaureate Program at Marymount Academy International in NDG, English Montreal School Board, and Clearpoint Elementary School in Pointe Claire, Lester B. Pearson School teacher Suzanne Ujvari, have returned from Israel. They were recipients of the Riva and Thomas O. Hecht Scholarship, Teaching of The Holocaust for Educators for a three week experience at the Yad Vashem Holocaust Memorial in Jerusalem. Ramin Khodaie left and some other teachers in Israel. 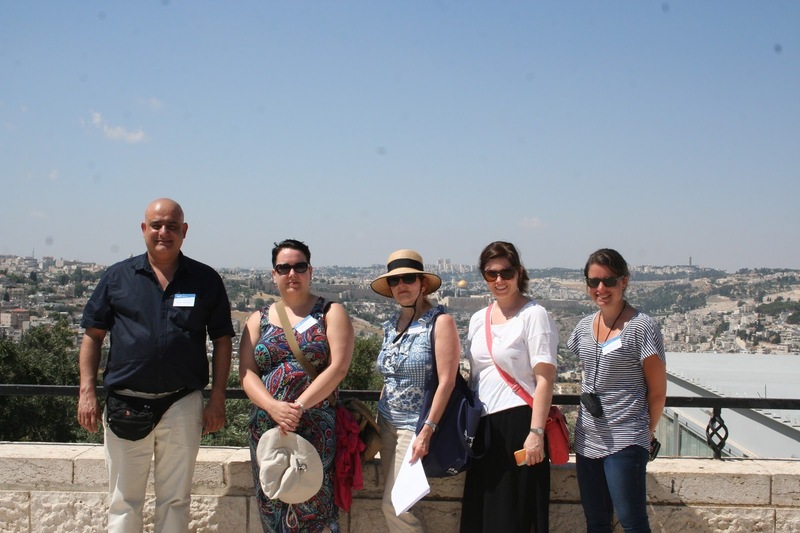 This was the 11th year of the project and over that time a number of EMSB teachers have travelled to Israel and returned with interesting options for their respective curricula. The teachers took part in a professional development program under the direction of the Faculty of the Yad Vashem Seminars for Educators from Abroad, International School for Holocaust Studies. The goal of the program is to provide professional development activities to teachers for teaching about the Holocaust and anti-Semitism. Each scholarship recipient will now be asked to create at least one teaching unit or module developed within the context learned, appropriate for the régime pedagogique. 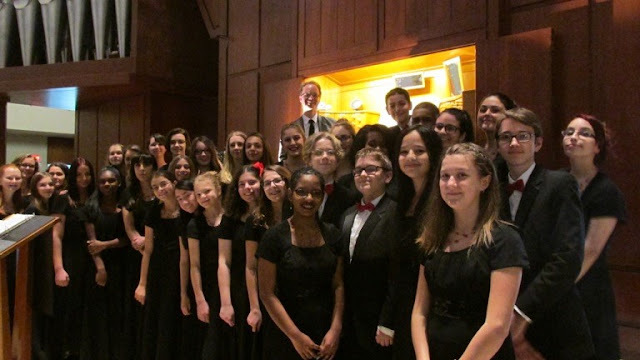 At Marymount, Mr. Khodaie’s position requires that he implement the philosophies of the International Baccalaureate and to help both students and teachers. 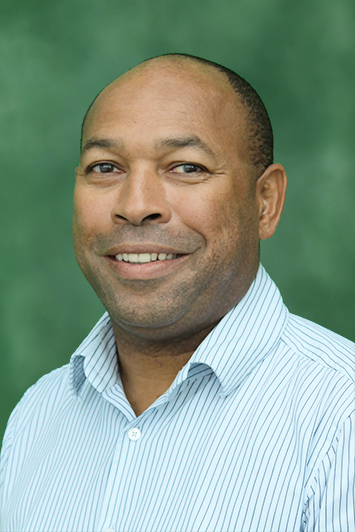 He is also responsible for the registration of international students arriving at Marymount Academy. “From the very first day at classes, I was fascinated and pulled in with the topic,” said Mr. Khodaie. “From the initial discussion to ease people into the topic and the ‘Easy in and easy out’ method of teaching to the more hard and difficult facts, the lectures and lecturers were great. The fabulous tours, not to be missed, were just the icing on the cake. The Holocaust Museum and Ghetto Fighters House were unbelievable and very difficult to walk through.” See the press release. 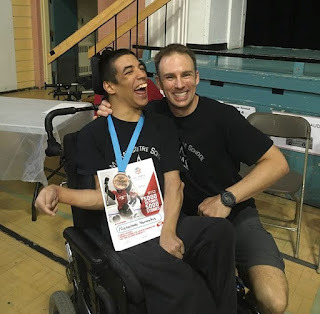 IMPACT EXPERIENCE: The EMSB held its annual EMSB Soccer Night last June and in collaboration with Inspirations Newspaper three special needs students and their families were given a special opportunity. 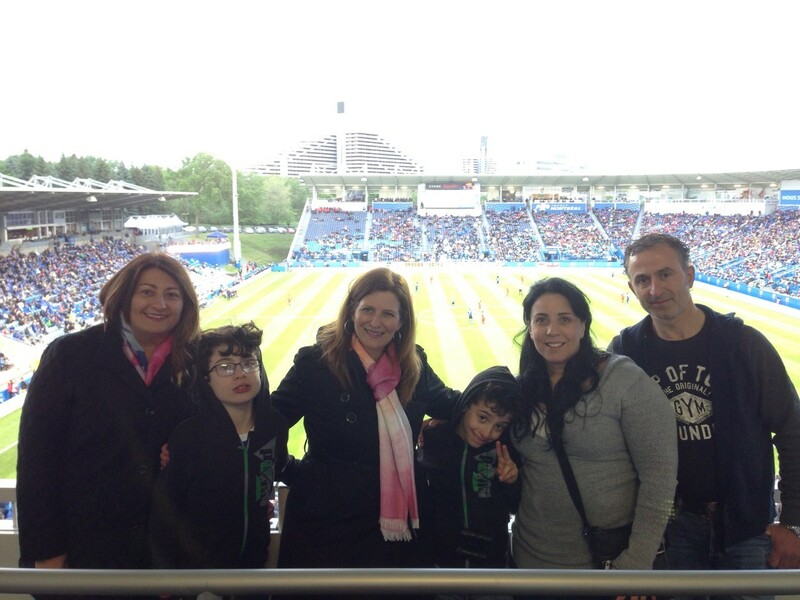 For the last six years, the EMSB has enjoyed a successful partnership with the Montreal Impact soccer team through its “All the Way with the Impact” program. Members of the Impact have been visiting elementary and high schools to remind young students of the importance of studying, persevering and building self-confidence in order to succeed. For the past three years, proceeds from the Impact Soccer Night have been donated to Inspirations Newspaper in order to help maintain their operations and the important work that they do servicing the special needs community. This year, Inspirations provided two Inspirational families with tickets to the game. Angela Mancini and Sylvia Lo Bianco welcome the Federico/Chiappone family. The first recipient family included 10-year-old Diego, eight-year-old Dante, and their parents Rosemarie Federico and Jorge Chiappone. Attending the game was the ultimate treat for this family, who struggle on a daily basis with multiple challenges. Diego has congenital sensorineural profound unilateral hearing loss in his left ear, which causes him troubles with attention, focus and anxiety, and various other disorders. Dante has Caylor cardio facial syndrome, with other diagnoses that include developmental coordination disorder, and motor development delay. The family had “an amazing time,” according to Ms. Federico. Dante confirmed the feeling, saying: “It was the best day ever!” They attend John Caboto Academy in Ahuntsic, The second family was mother and Inspirations contributor Valentina Basilicata, her husband, and their two sons, who attend the Sir Wilfrid Laurier School Board. Nine-year-old son Matthew has sensory processing disorder. This was the first Impact event for Matthew and his brother, and they loved it…despite the rain! 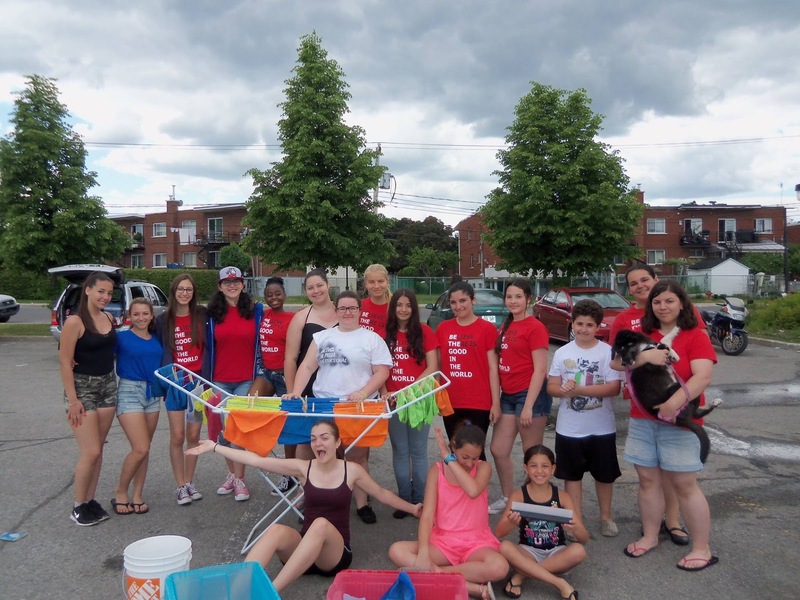 CAR WASH: Over the summer Student Council members at Lester B. Pearson High School in Montreal North completed their annual car washes. Students planned and executed a car wash and bagging fundraiser in support of our leadership program. In addition to the $650 that was raised in June, an additional $515 was gathered for Canadian Tire’s JumpStart Foundation. Canadian Tire in Montreal North and on Maurice Duplessis have been very generous in allowing the school to use their facilities. LEADERSHIP CAMP: Lester B. Pearson High School’s Student Council returned from its seventh annual Leadership Camp that was held at Camp Papillon in Saint-Alphonse-Rodriguez. Twenty-seven students spent two days building bonds, developing leadership skills and having fun to kick-off the 2016-17 academic year. On the first day of camp students were confronted with a seemingly insurmountable wall and they scaled it, solidified bonds through trust falls, in addition to a wealth of ice breakers and experiential learning activities. 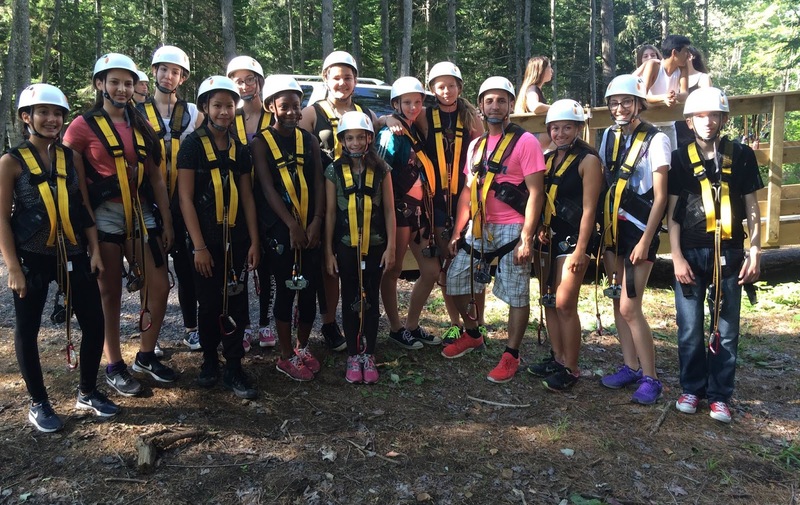 The second day began with developing our own secondary one orientation day and was capped off with an afternoon of boating and zip-lining. Student leaders are now ready to face the challenges of the new school year with enthusiasm and through the foundation of trust that was cemented over two days. ALOUETTES NIGHT: There was a special EMSB Night at the Montreal Alouettes home opener on June 30 at McGill’s Molson Stadium when the Ottawa RedBlacks are the visitors. This was an individual school fundraiser. So for every ticket sold at a strongly discounted rate of $15, schools got to retain $2 for their own fundraising purposes. The Alouettes welcome any schools to pick a game between now and the end of the CFL season to do the same. E-mail communications@emsb.qc.ca for details. IMAGO THEATRE: Imago Theatre, a Montreal theatre company that produces thought-provoking works that uplift women's voices and narratives, will be producing the play Intractable Woman at Centaur Theatre from February 9 to 19 with two student matinees on Feb. 12 and 17. The play offers an excellent opportunity for open discussion in English, History, Media, and Ethics courses as it addresses censorship and freedom of speech, the Chechnyan war, violence, justice and the ways in which media control and disseminate information in times of conflict. Intractable Woman is the story of Anna Politkovskaya,the only Russian journalist to cover the war in Chechnya, a woman the State dubbed "not able to re-educate," a person with courage in the marrow of her bones, and the faithful voice of those who lived through such a senseless and bloody conflict. Contact Erin Lindsay at erin@imagotheatre.ca. 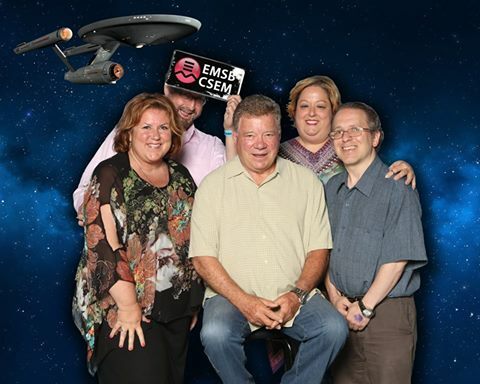 COMICCON: Watch out Col. Chris Hadfield, the EMSB is heading to the final frontier!The EMSB was at Montreal Comiccon and had the chance to visit with Willingdon Home and School alumni William Shatner! Pictured here: Secretary General Nathalie Lauziere, Communications Consultant Brigida Sellato and special projects officer Stuart Nulman. The EMSB had an information booth at the event, staffed by representatives from Communications and Marketing, the Shadd Health and Business Centre and Rosemount Technology Centre. (514-790-1245). Log on to www.KidConMtl.com. PROFILE ON ST. PIUS X: Global Television did a wonderful profile on St. Pius X Career Centre earlier this week. You can see the report here. AEVS NUMBERS: Enrolment figures for the 2015-2016 academic year in AEVS are in and they have exploded. The EMSB's 11 centres now have more than 24,000 students, some 7,000 more than the previous year. Selon ses registres, la CSEM comptait l’an dernier dans le secteur des jeunes 1 607 élèves dont la langue maternelle est le français sur 19 388 élèves. Conformément à la Charte de la langue française, un certificat d’admissibilité est remis à l’enfant qui reçoit ou a reçu la majorité de son enseignement en anglais dans une école primaire ou secondaire au Canada; à l’enfant dont le père ou la mère a reçu la majorité de son enseignement primaire en anglais au Canada; ou à l’enfant dont le frère ou la sœur a suivi ou suit la majorité de ses études en anglais dans une école primaire ou secondaire au Canada. BUDGET DE LA CSEM: Le 28 juin, la CSEM a adopté un budget déficitaire pour l’année scolaire 2016-2017, avec des dépenses prévues de 1 964 823 supérieures aux revenus. Après exclusion du montant de 75 000 $ pour des obligations liées aux conventions collectives, le déficit s’établit à 1 898 823, se situant dans la limite de 10 % d’affectation pour excédent accumulé accordée dans les paramètres budgétaires. 65 ANS POUR L’ÉCOLE PARKDALE: L’école primaire Parkdale, dans l’arrondissement Saint-Laurent, fête son 65e anniversaire. De plus amples renseignements à venir sur les événements qui seront organisés pour souligner cet âge vénérable. FORMATION : Les administrateurs de la CSEM ont récemment participé à une journée de formation animée par la conférencière et facilitatrice Willow Sweeney Flaherty. Enseignante en sciences humaines à l’école secondaire Cretin-Derham Hall de Saint Paul, au Minnesota. Mme Sweeney Flaherty a quitté ses fonctions il y a de nombreuses années pour se lancer dans la formation du personnel enseignant et des élèves en matière d’intelligence sociale et émotionnelle. Ses partenaires et elle ont mis plus de cinq ans à créer le programme Top 20 Training dont la mission est notamment d’aider les enfants à développer leur potentiel pour enrichir leur vie, leurs relations et leurs expériences. Le groupe a rapidement conquis un large public. 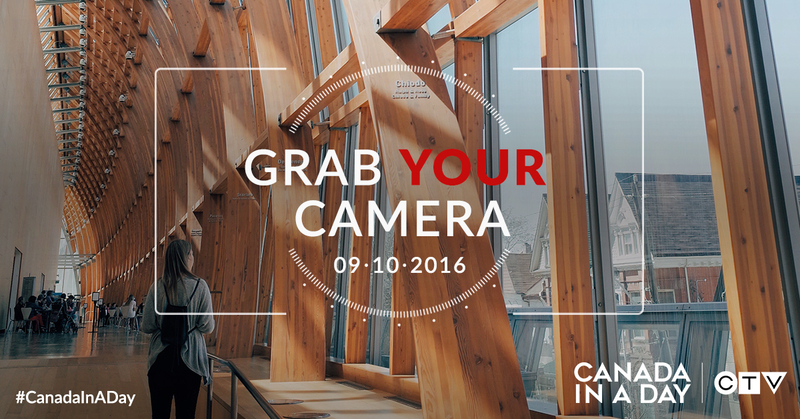 Les partenaires sont maintenant auteurs, conférenciers et mentors. Ils se consacrent à transmettre aux membres du personnel enseignant l’importance de développer leur intelligence sociale et émotionnelle, et à en favoriser le développement chez leurs élèves. La présentation de Mme Sweeney Flaherty a reçu un très bon accueil. La veille, elle s’était adressée à des représentants de la Commission scolaire Lester-B.-Pearson. NOMINATION AU SEAFP: Angela Spagnolo a été nommée directrice adjointe du Service de l’éducation des adultes et de la formation professionnelle. NOMINATION AU SERVICE DES RESSOURCES MATÉRIELLES: Diana Nguyen a été nommée directrice adjointe des Services de l’équipement. Ces sept dernières années, Mme Nguyen travaillait comme ingénieure mécanique chez SNC-Lavalin. Elle était responsable de nombreux grands projets, dont la construction de la Station canadienne de recherche dans l’Extrême-Arctique qui devrait se terminer en 2017. Elle a également travaillé, entre autres, à la construction d’une aérogare à Inukjuak, à la rénovation majeure de l’office municipal d’habitation de Kativik, à la rénovation d’une école pour la Commission scolaire Kativik, et à la construction d’un centre de réadaptation pour filles à Inukjuak. DÉPART À LA RETRAITE DE LUC HARVEY: Luc Harvey, directeur adjoint de l’Organisation scolaire à la CSEM, a pris sa retraite. Dans ses fonctions, il supervisait certains des programmes et des ressources relatifs à l’inscription, au transport, à la loi 101, aux services de garde et de cafétéria, aux mesures d’urgence et aux dossiers des élèves internationaux au secteur des jeunes. M. Harvey a travaillé pour la CSEM et l’ex-PSBGM pendant 26 ans. Il y a amorcé sa carrière au poste de gestionnaire des transports, a exercé ensuite les fonctions de coordonnateur des transports et de l’inscription, pour enfin devenir directeur adjoint. Originaire de Chicoutimi, il s’est installé à Montréal en 1990, après avoir travaillé deux ans au sein de la petite commission scolaire Morilac à Sherbrooke. DE RETOUR D’ISRAËL: Ramin Khodaie, coordonnateur du programme de Baccalauréat international à l’école secondaire Marymount Academy International de la CSEM à NDG, et Suzanne Ujvari, enseignante à l’école primaire Clearpoint de la Commission scolaire Lester-B.-Pearson à Pointe-Claire sont de retour d’Israël. Lauréats de la bourse Riva et Thomas O. Hecht, ils ont participé au programme de trois semaines Teaching of The Holocaust for Educators à l’institut Yad Vashem en mémoire des victimes de l’holocauste. MATCH DE L’IMPACT : La CSEM a tenu sa soirée annuelle au match de soccer de l’Impact en juin dernier en collaboration avec le journal Inspirations, donnant à trois élèves ayant des besoins particuliers l’occasion extraordinaire d’assister à un match de l’Impact. Depuis plusieurs années, la CSEM a un partenariat fructueux avec l’équipe de soccer l’Impact de Montréal dans le cadre de son programme « Jusqu’au bout avec l’Impact ». Des joueurs de l’Impact se rendent dans des écoles primaires et secondaires pour rappeler aux jeunes l’importance d’étudier, de persévérer et de bâtir sa confiance en soi pour réussir. Depuis trois ans, les recettes de la soirée sont versées au journal Inspirations, en reconnaissance de l’important travail qu’il accomplit pour la communauté des personnes ayant des besoins particuliers. Cette année, Inspirations a offert à deux familles des billets pour assister au match de l’Impact. La première est celle de Diego, 10 ans, de Dante, 8 ans, et de leurs parents Rosemarie Federico et Jorge Chiappone, une famille qui compose chaque jour avec de multiples défis. Diego a une grave perte d’audition neurosensorielle congénitale dans l’oreille gauche, qui lui cause des difficultés d’attention et de concentration ainsi que de l’anxiété et divers autres troubles. Dante a le syndrome cardio-facial de Cayler et d’autres troubles, dont le trouble de l’acquisition de la coordination et un retard du développement moteur. La famille a eu une « soirée extraordinaire », selon Mme Federico. Abondant dans le même sens, Dante a ajouté : « C’était le plus beau jour de ma vie! » Les deux enfants vont à l’école John Caboto Academy à Ahuntsic. La deuxième famille était composée de Valentina Basilicata, collaboratrice d’Inspirations, de son mari et de ses deux enfants, de la Commission scolaire Sir Wilfrid Laurier. Matthew, 9 ans, a un trouble du traitement sensoriel. C’était la première fois que Matthew et son frère assistaient à un match de l’Impact et ils ont adoré ça… malgré la pluie! KIDCON: Les familles montréalaises sont invitées à la deuxième édition de KidCon, un événement pour les enfants et les familles qui aura lieu les samedi et dimanche 22 et 23 octobre à l’intérieur du Stade Uniprix (285, rue Gary Carter). On y trouvera des jouets, des jeux vidéo, des films, des jeux de société, du bricolage, des livres, de la nourriture et des bandes dessinées pour les enfants; des jeux éducatifs et les dernières technologies pour les parents; des jeux gonflables et un défilé costumé pour bouger. C’est l’événement parfait pour les enfants de 3 à 12 ans et leurs parents qui pourront à la fois s’amuser ensemble et séparément, en découvrant de nouvelles activités, les produits les plus au goût du jour et des jouets innovateurs. KidCon rassemble les enfants et leurs parents dans un espace unique où ils ont accès à des activités qui savent répondre à leurs intérêts. Les familles auront la chance de découvrir de nouveaux jouets et jeux, de s’adonner à des activités passionnantes et de participer à des ateliers de création. Ils pourront interagir dans les sections télévision, jeux vidéo, jeux de société, films, livres et bandes dessinées, technologie, et nourriture. Les parents sont assurés que leurs enfants auront du plaisir dans un environnement qui les encourage à bouger, à participer et à être curieux. Parmi les sensationnelles activités offertes, on trouve une zone de jeux vidéo, un coin bricolage, une zone de jeux de société et un parc de jeux gonflables, ainsi que des occasions de rencontrer ses personnages favoris et de participer à un défilé costumé. La CSEM et le journal Inspirations font partie des exposants qui présenteront l’éventail complet de leurs produits pour enfants, entre autres : jouets, jeux, vêtements, accessoires, bandes dessinées, y compris des produits de marques connues comme Marvel, Disney, Star Wars. Les parents auront aussi l’occasion de découvrir les nouveautés sur le marché et de faire leurs emplettes des Fêtes! Les laissez-passer sont en vente sur le site Web KidCon à KidConMtl.com et sur le réseau Admission.com. Composez le numéro 514-790-1245 ou rendez-vous au www.KidConMtl.com.